Sathya Narayanan, Bessie Dreamers – Creative thinker … on the go! Everybody likes a diamond. But, is it mined as we see it in the shop? The value of the diamond increases manifold when it is cut & polished before being converted into a lovely jewel. All uncut stones have the potential to become a coveted solitaire that we want to own. However, that is possible only at the hand of a skilled craftsman. I have been going for a morning walk & occasional jog in the Bessie neighborhood for years. Weekly once I used to jog and experience some sort of discomfort in the legs for the next few days. So I never thought of running. However, in April 2014, when I saw a poster inviting people to join a ‘training program’ for the upcoming Dream Runners Half Marathon 2014, I just registered myself. Being evolutionary in nature, we progressed from crawling to walking to running. Hence running must be a simple & natural thing to do. Oh boy, that’s what I thought till the classes started. 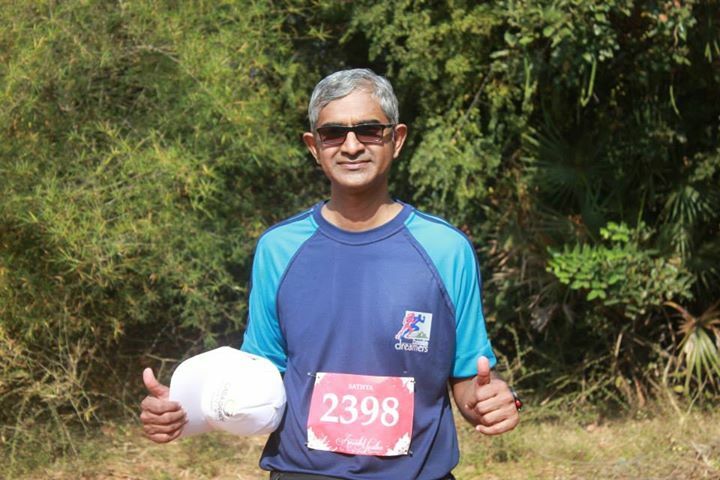 As the classes progressed under the coach Elango, I realized the value of being an ‘informed runner’. To start with, I understood that the mild discomfort experienced earlier after my jogging was due to the lack of stretches and cool-down routines. Just as the craftsman work on a raw stone and make it worthy enough to be embedded in a prized ornament based on its properties, the coach understood the strengths and weaknesses of each of the trainees and trained us accordingly. He was ably supported by few volunteers from the Dream Runners group. In our early days of practice, though the coach stayed back at the starting point, the volunteers would always be around along the route to attend to the needs of us. With the sessions spaced out neatly and right advice of nutrition and rest, many of us were able to overcome the mental blocks like “oh no, I can’t run” etc. From the first week of April till the DRHM 2014 event, the coach polished us skillfully and many of us went on to shine on the day of the event. There is a major difference between being an ignorant runner and an intelligent runner. The coaching by Dream Runners leading to the DRHM 2014, proved that.